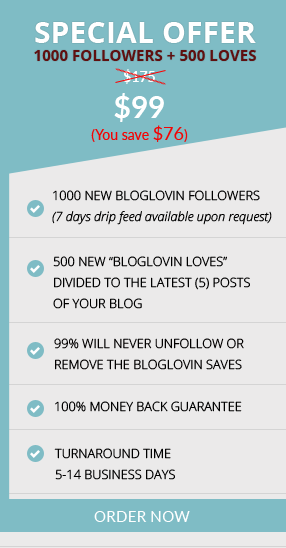 Get More Followers - Get More Likes to your bloglovin account! What Is Bloglovin – and Why Is It Important? You spend a tremendous amount of time working on your blog: awesome content, frequent updates, regular engagement with readers. But your overall exposure, subscriber list and sales simply aren’t growing at the levels you want to see. How do you become one of those “must-read” blogs with 1,000, 10,000 or 100,000 regular visitors? Smart blog owners do it with the help of Bloglovin. Bloglovin is the Internet’s most-popular blog reader. Over the last year, it’s been one of the 1,000 top sites in the world as measured by Alexa. And – with the help of our LovinFollowers service – it’s also the most effective tool a blog owner can use to acquire new, targeted followers and repeat visitors. More than 16-million people use Bloglovin to add their favorite blogs to a single, easy-to-read newsfeed. They also use the site as a resource to find new and interesting blogs to follow. 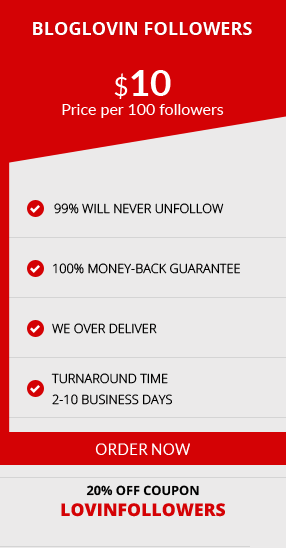 That’s why our LovinFollowers service is so important. The professional LovinFollowers social media team has the knowledge and ability to make any site or post go viral. And we know exactly how to get your blog noticed by millions of regular Bloglovin visitors, who are always in search of new and interesting reading material. Here’s the secret: Bloglovin is much like any other social media platform. In order to be noticed and gain trust, you need a large number of followers. We provide those followers for your Bloglovin account, to make your blog appear to be one of the most popular and important options. Once your follower numbers have reached critical mass your visitors and repeat traffic will start to soar, and your content will be included on all of your visitors’ regular newsfeeds. A large number of followers also means your blog can become featured at the top of Bloglovin category pages, or even on their main “recommended blogs” page. 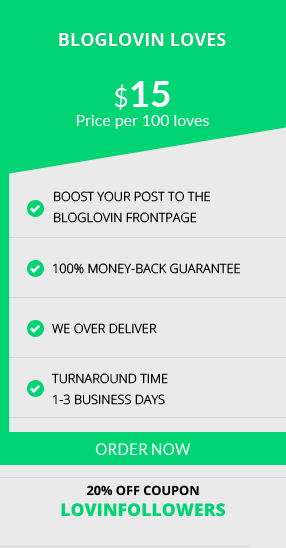 LovinFollowers is also are able to provide Bloglovin “likes” or “saves” for individual posts, which can boost your posts to the site’s “popular” pages and even to the front page of the entire Bloglovin site – creating a flood of new visitors to your blog. Our tests have shown that a small investment in LovinFollowers’ services can send hundreds of unique, engaged visitors to your blog every day. Isn’t that the answer you’ve been searching for? SIMPLE PROCESS: Just enter the URL of your blog on our order form, and our social media professionals do the rest. You’ll start to see new account followers or new post likes almost immediately. PERMAMENT EFFECTS: Most new Bloglovin followers never unfollow a blog, and they’ll be viewing your content forever. If you do experience a loss of followers, we’re happy to replace them. TESTED AND TRUSTED: LovinFollowers is the #1 site in the industry, and we’ve rigorously tested our procedures to make sure they work. All of our satisfied customers would agree they work, too. MORE BLOG TRAFFIC: Our process is the easiest, fastest and most cost-effective way to add large numbers of targeted visitors and followers for your blog. It’s time that your hard work is rewarded!